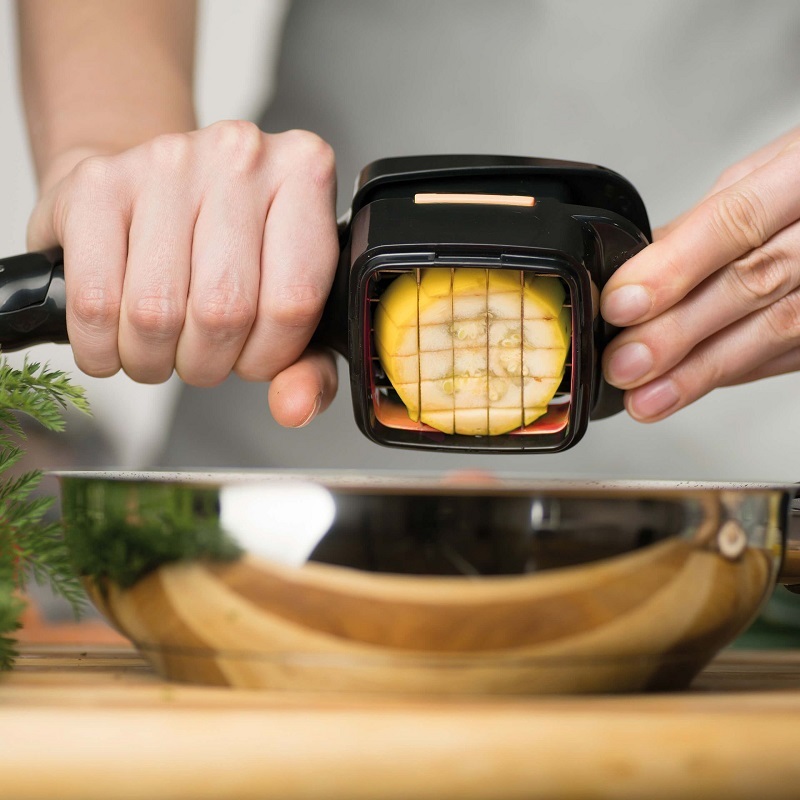 The Nicer Dicer Quick is a personal handheld kitchen tool which slices， chops， and cuts whole fruits and vegetables. 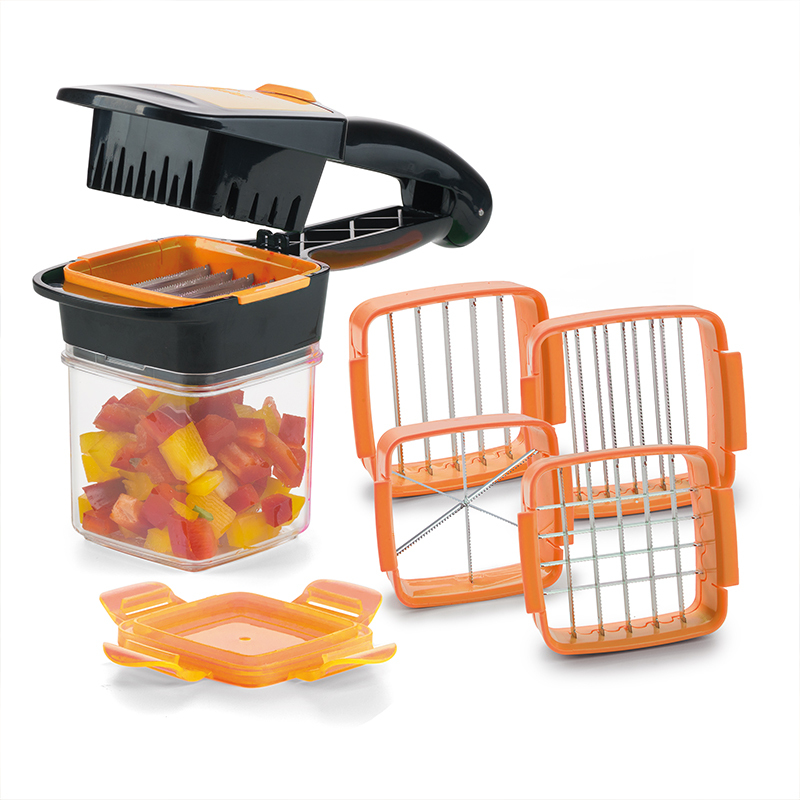 Each set of the Nicer Dicer Quick includes an array of items. 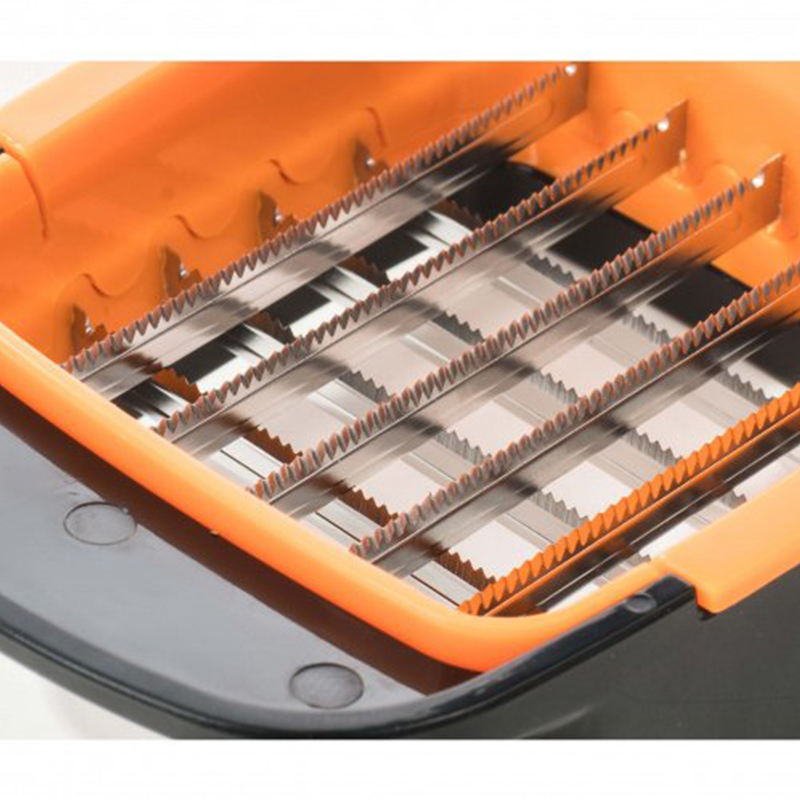 It includes a slicer， a wedge cutter， a thick and thin blade insert and a storage container with a lid. 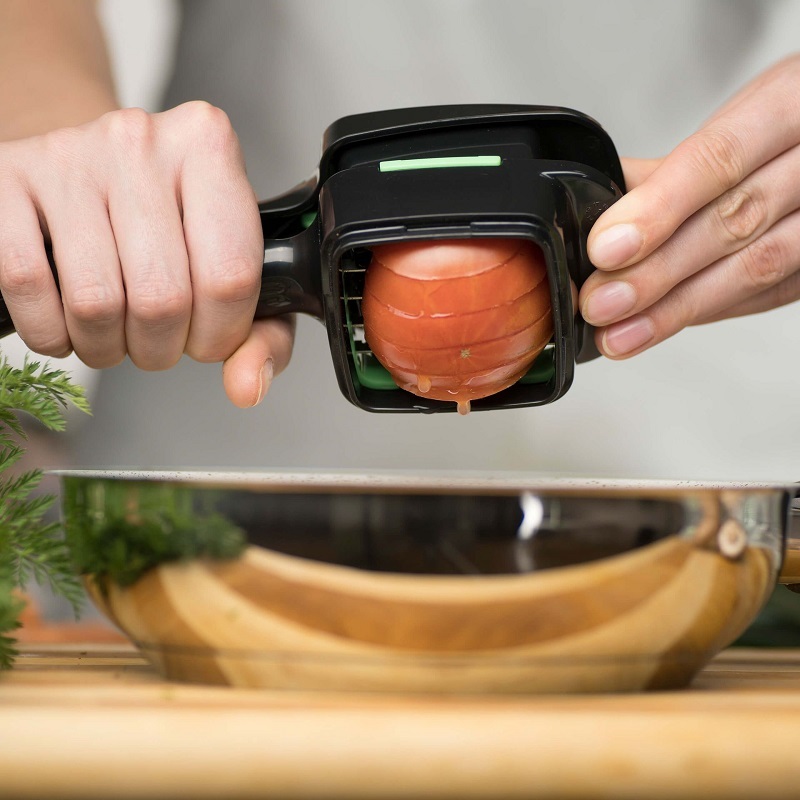 This tool combines five slicers into one easy to use and interchangeable solution to quickly chop or slice all types of fruits and vegetables. 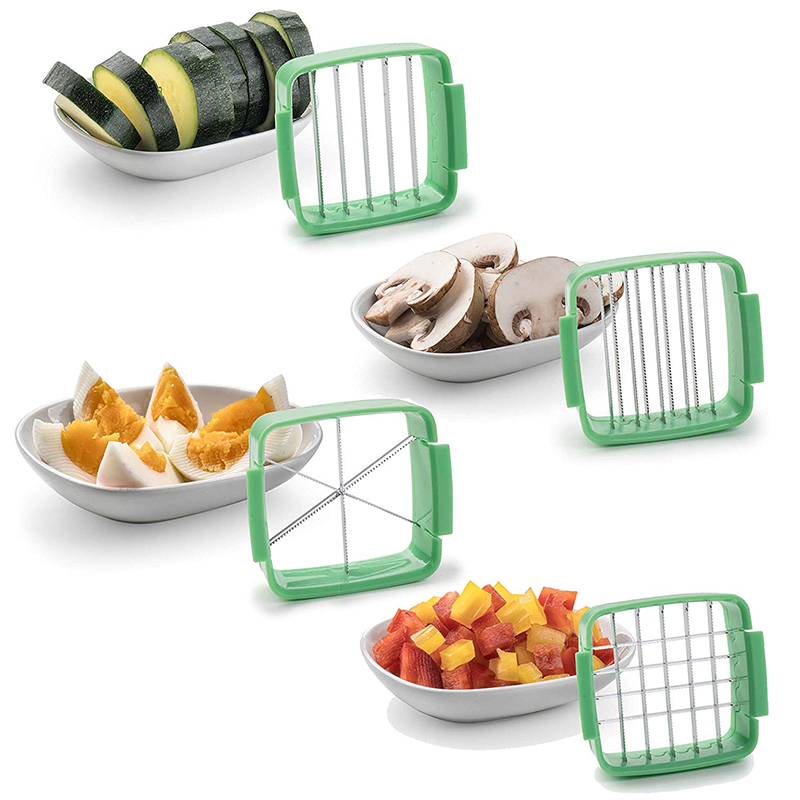 The Nicer Dicer Quick has five interchangeable options to chop， slice or cut fruits and vegetables. 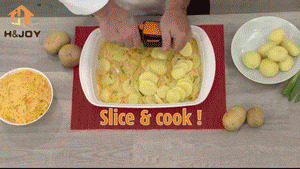 It can chop into thick or thin slices and can also chop into wedges. 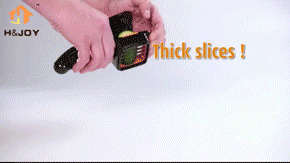 The Nicer Diver Quick is safer than cutting fruits and vegetables with knives. 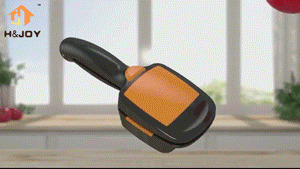 This is beneficially for those who have shaky hands. 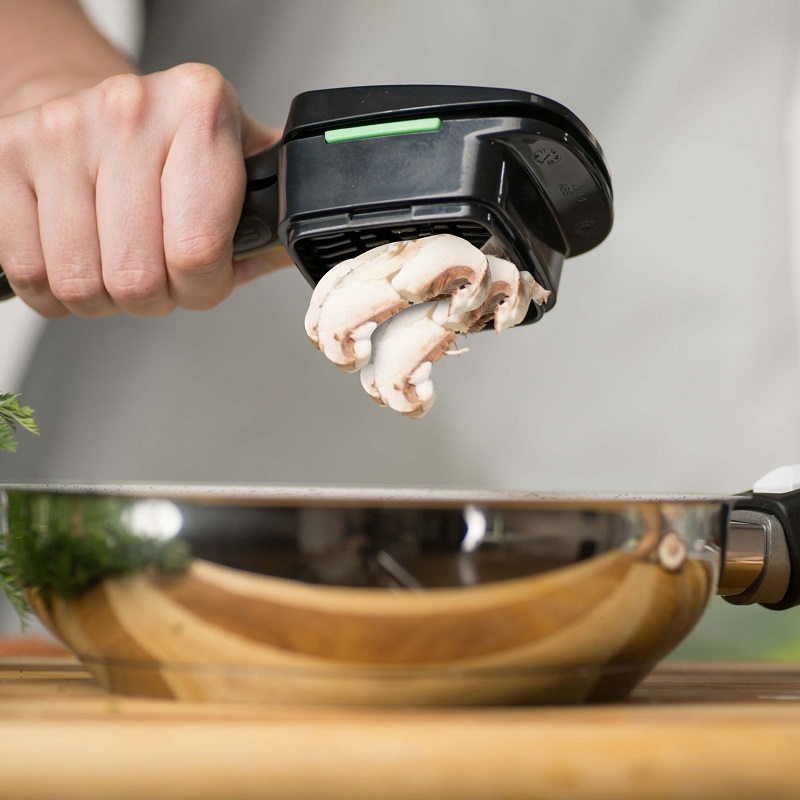 It is also beneficial for children to get involved in the cooking in the kitchen. 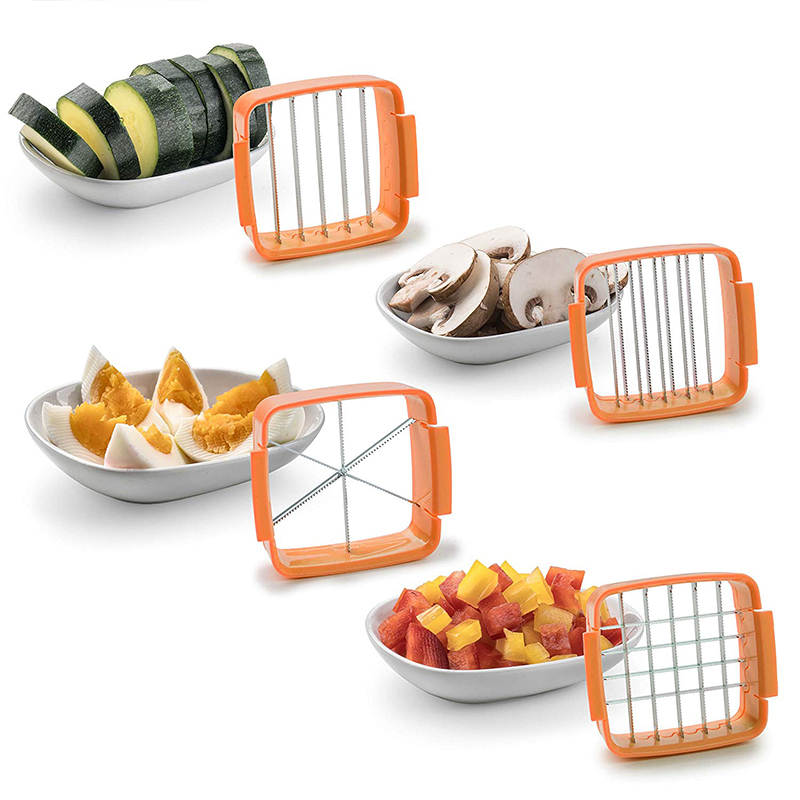 The Nicer Dicer is safe and easy for them to use. 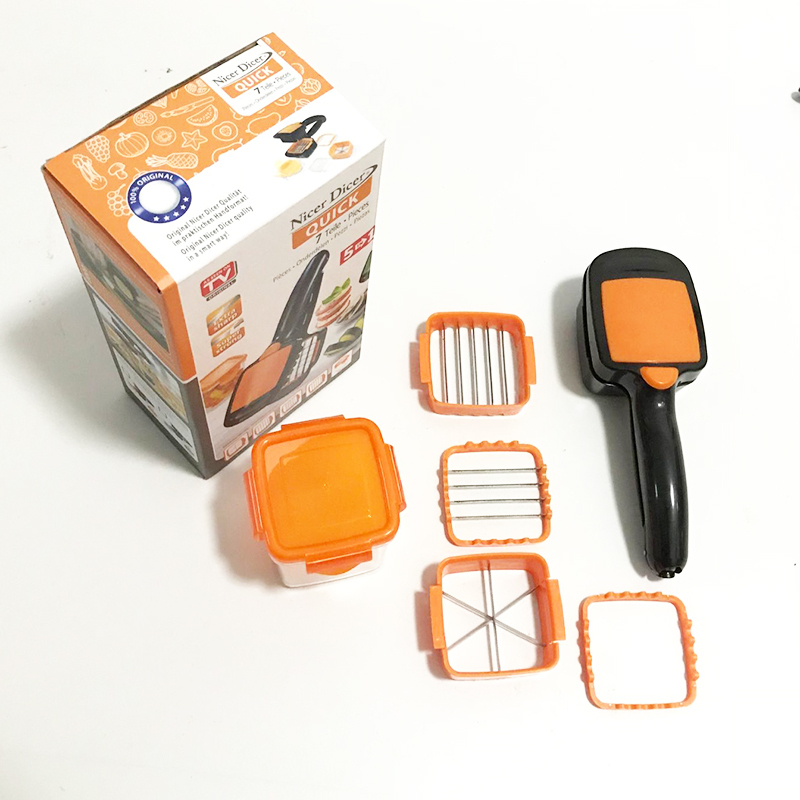 However， this product should still be used under the supervision of parents because the blades and choppers are still very sharp and can cause injury.